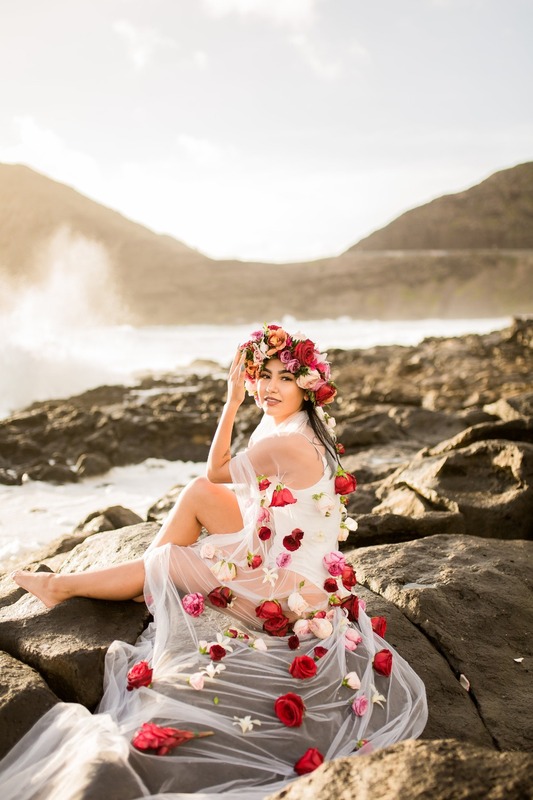 Planning a bridal portrait session? Then let this inspiration be your guide! 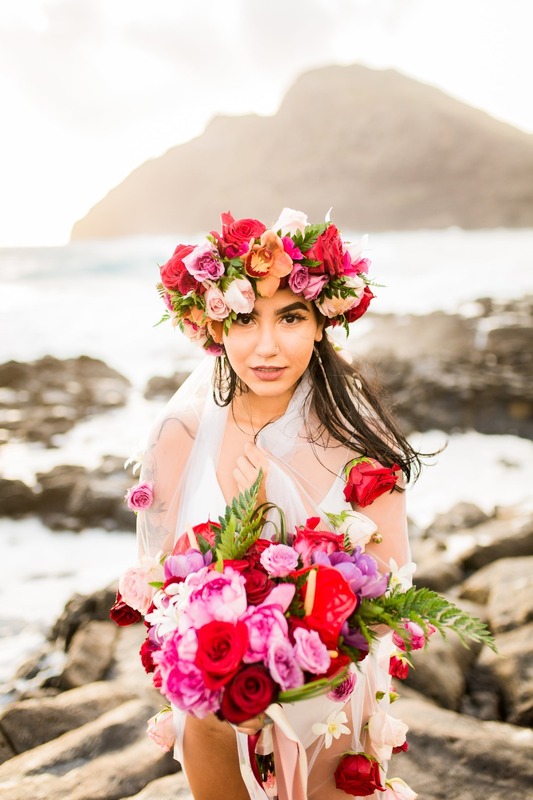 Vanessa Hicks Photography dreamt up this beautiful bridal session complete with a fabulous flower crown, bouquet, and cascading veil covered in vibrant florals from Jeff Alencastre. 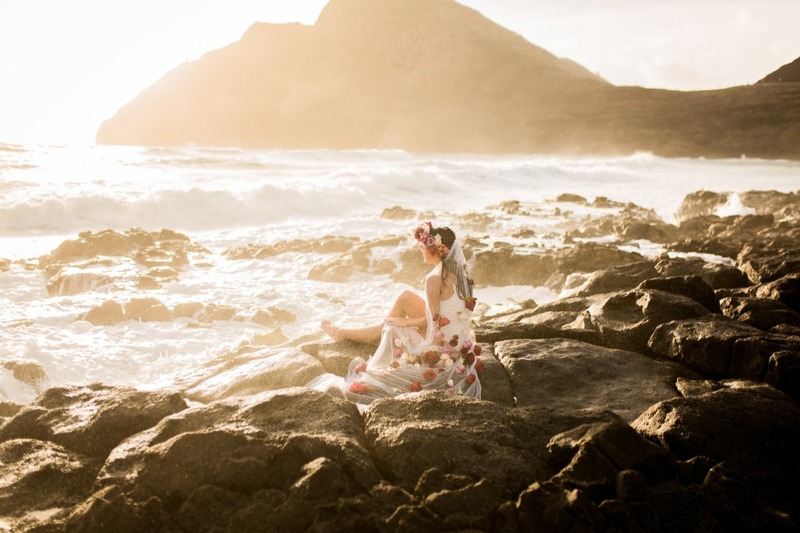 The crashing waves at Makapuu Beach in Hawaii made for a surreal and totally breathtaking backdrop. 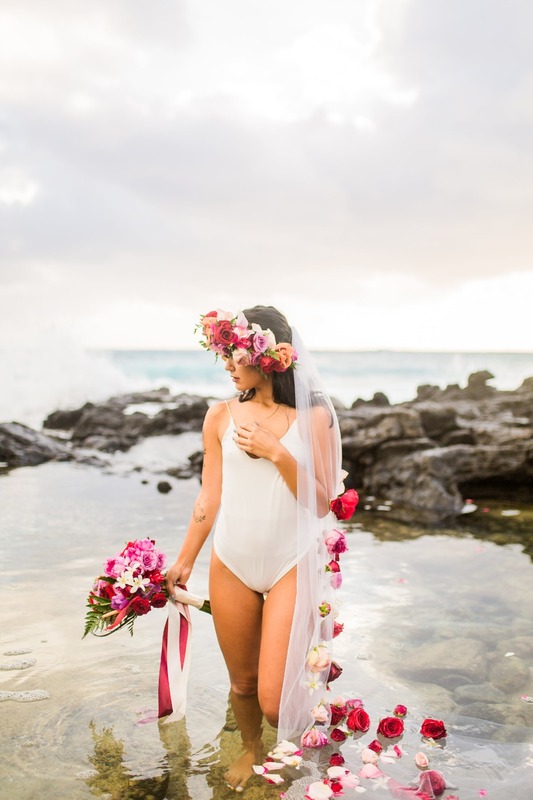 But if you aren’t living the island life, there are still plenty of pin-worthy ideas to be had, so be sure to visit the gallery for a closer look at this bridal-portrait session in Hawaii. 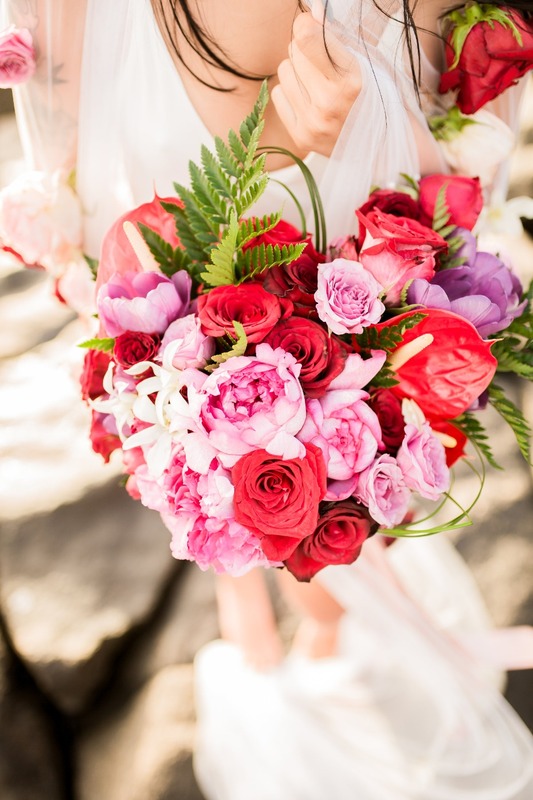 From Vanessa Hicks Photography: I cannot wait to share this absolutely stunning bridal portrait session!!! 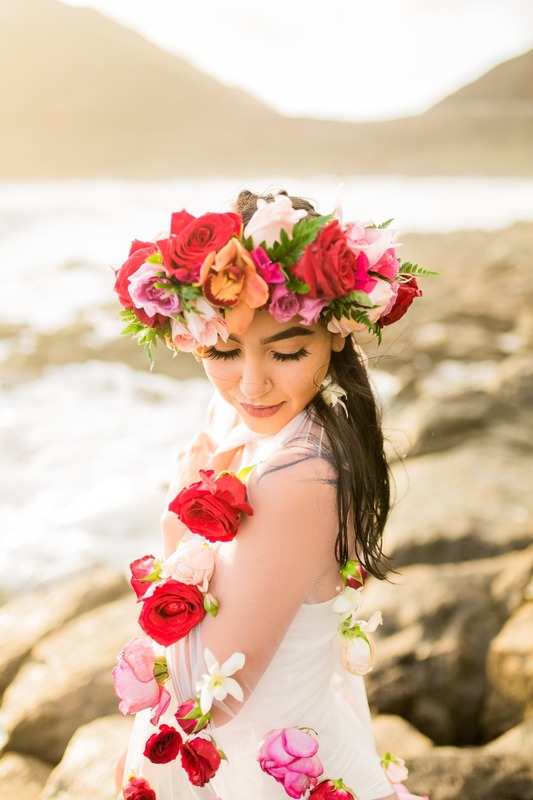 I had this idea of a floral veil in my head, but I didn't know how to make it come to life! 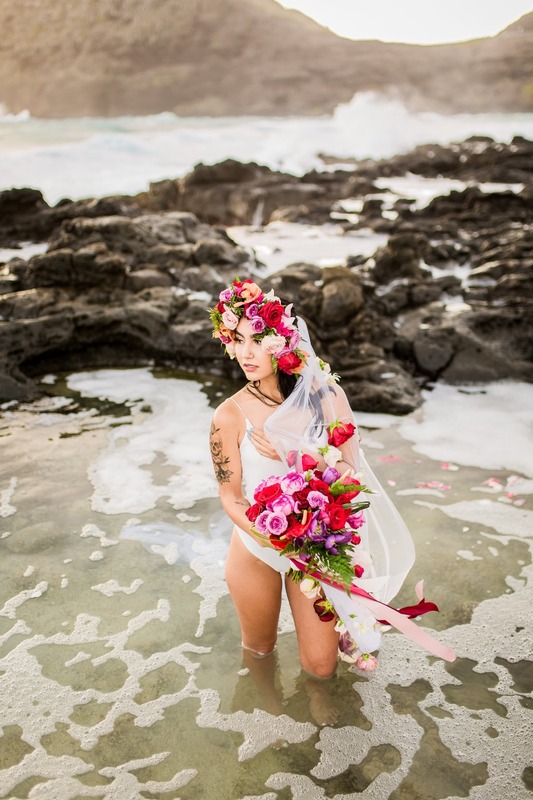 I talked to my friend and amazing florist Jeff Alencastre, and when I shared with him my idea, he was totally on board! The weather messed up my original location, but as I truly believe, everything happens for a reason! 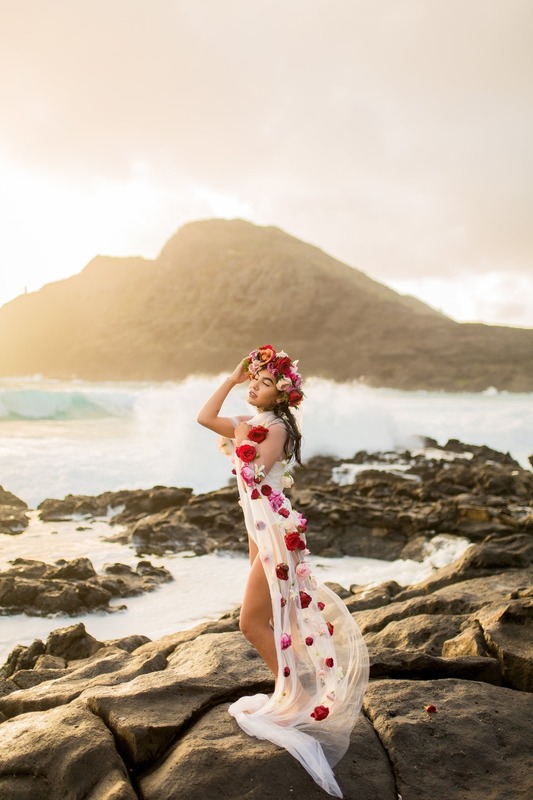 The stunning Makapuu Beach, complete with the waves and the incredible sunrise, made this session beautiful! But, what really pulled off the shot was our stunning model Leslie! A military wife, I had "met" her online, and I was just waiting for the perfect session to use her in! This was it! 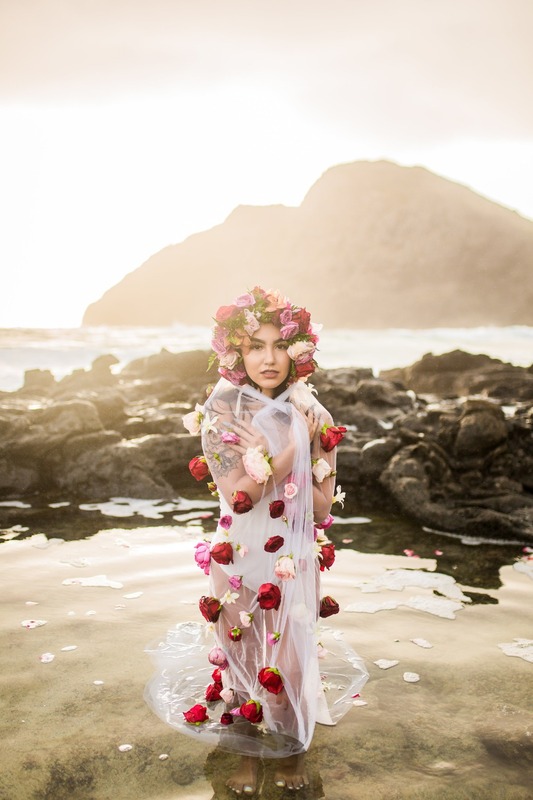 Looking just radiant at 4am, she was ok with the cold, wind, getting wet by the waves, but it was so worth it!